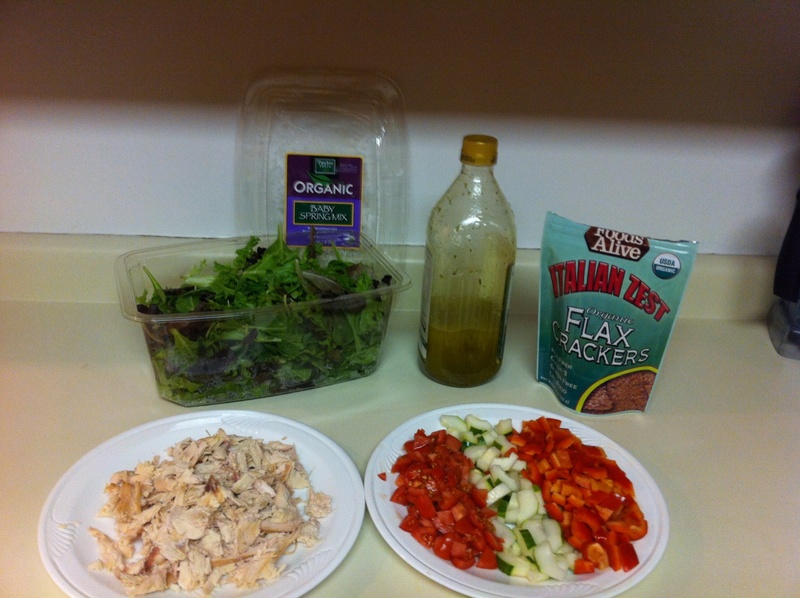 Tonight we enjoyed organic salad mix from Costco topped with leftover smoked chicken meat; fresh tomatoes, peppers and cucumbers; and homemade Italian Dressing! I tossed in some Italian flax crackers on the side for good measure, too! 😉 Click here to read more about those! 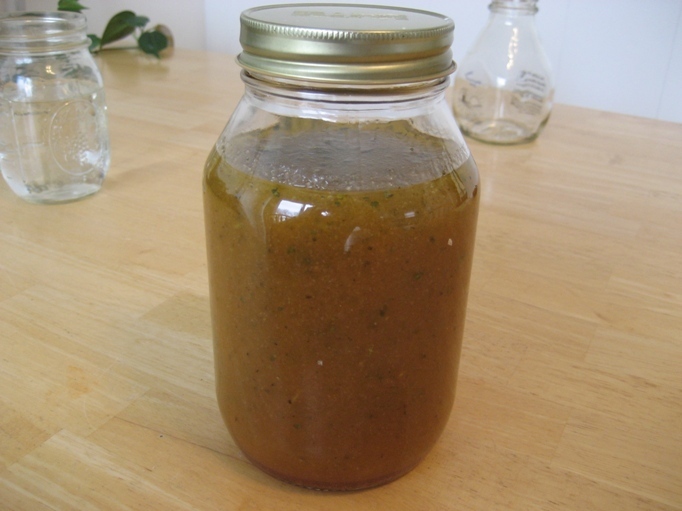 Homemade Italian Dressing in about FIVE Minutes! Check out this simple, tasty recipe demonstrated in the video below!